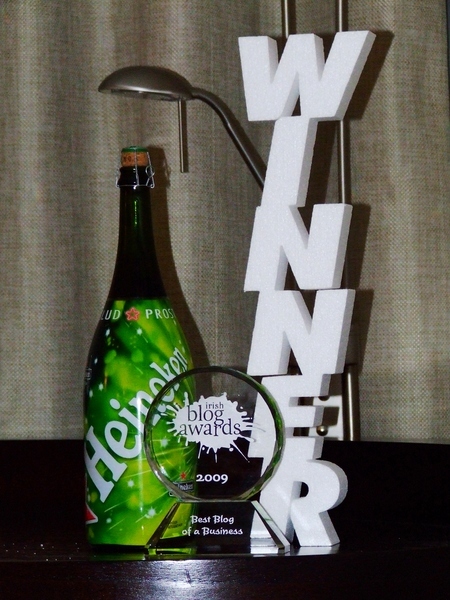 So this humble blog actually won the Best Blog of Business at the Irish Blog Awards last night! I wasn’t in attendance, but I believe George was there to pick up our award. While I’m sure there will be plenty of blog posts over the coming days from attendees, nominees and winners with lots of potentially embarassing photos etc, this one from Cathal Garvey caught my eye. 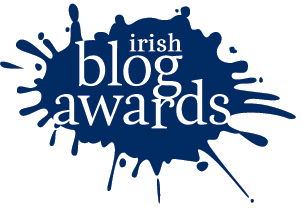 Cathal did an analysis of the blogging platforms and hosting providers of the shortlist. Interestingly enough we are one of the few users of MovableType, but we host more of the shortlist than anyone else (the most popular blogging platform being WordPress). So, we would appear to be the host of choice for Ireland’s top bloggers. I’m not sure if that’s a good thing or a bad thing, but it’s still pretty cool! 16 Responses to Wow! We Won! Well done, well deserved 🙂 Nice to see someone who makes an effort rewarded. Michele – congratulations and really well deserved. You and the team must be thrilled. Congrats on the award, well deserved. Although the results of Cathal Garvey’s study must feel like another win, so nice double! Well done Michele, am proud of you. Hope to see you this year, Stefan,Irena and Tomasz!!!! Congratulations Blacknight, I’m delighted for you! Congratulations. I’ll be reading you in future. I’ve written you an Open Letter on my blog. I’d be grateful if you’d read it. Now what exactly is “Baby Bear” ? What? You mean that wasn’t Michele I handed the award to? Outstanding to see you get all this recognition!